Looking for a reliable pressure cleaner and Soft-Wash expert on The Sunshine Coast? 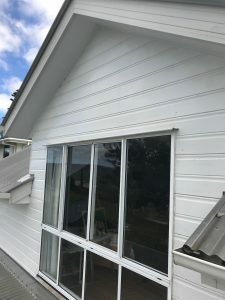 If your goal is to maintain the appearance of the outside of your home or commercial property, you’re certainly in the right place! You want someone who knows what they are doing. Nine years experience operating a traditional pressure cleaning service gives you the assurance that you’ve picked the right company! There are two approaches to exterior cleaning: traditional pressure cleaning and soft-washing. Traditional pressure cleaning makes use of high pressure machinery to agitate and remove dirt and mould. Soft Washing makes use of chemicals and low pressure to clean. The science behind chemical cleaning has improved dramatically over the last few years along with improved application methods. Soft-Washing is much more gentle and generally quieter than the old abrasive method for cleaning. 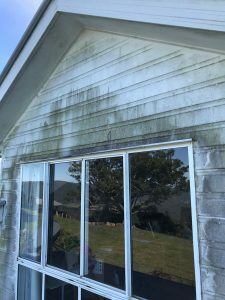 There is a place for both types of exterior cleaning and you need to deal with a company that knows when to use each type. We keep up with new tends in exterior cleaning delivering the highest standards and as a result you can expect the best guaranteed service. If you phone us you can expect to receive a return call within 4 hours and once you’ve spoken to us you’ll be better informed and you’ll know hat service you’re looking for. You will be dealing with the most popular service on The Sunshine Coast for our outstanding reliability, quality, and responsiveness. 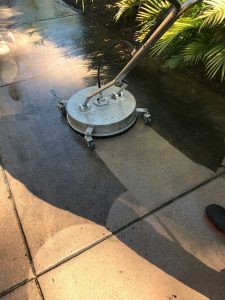 Why use The Pressure Clean Experts for your external cleaning needs? In short: it’s safer. “Most people have “had a go” themselves! Sometimes the results are less than ideal and many times it is simply dangerous and exhausting. You’re better off engaging an industry expert to do the work. As a result your home or commercial building will look better and you haven’t taken any risks to get the work done. Safety is taken seriously and TPCE holds Construction Industry White Cards and Safe Work at Heights tickets which means our cleaning is also safe. 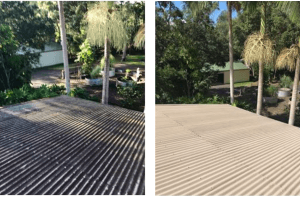 Only the best products available on the market are used for external cleaning throughout South East Queensland. PLUS you’re protected as well with our $20m Public Liability Insurance. Sometimes commercial work needs to be completed outside normal business hours. The Soft-wash process is virtually silent so we won’t disturb neighbours!